Benefit from an almost unheard-of selection. 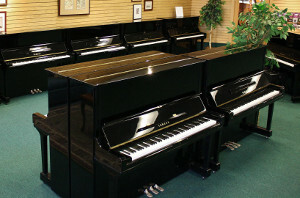 Visit us to choose from dozens of pianos like this, or let us pick one for you. Attention to small details makes a big difference. 30+ more pianos just arrived! 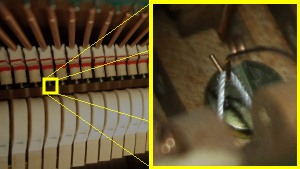 Not all reconditioned pianos are the same. You won't find Four Star reconditioned Yamaha pianos anywhere else, not in New England, not on the East Coast, nowhere else in the United States. Period. Give you the most like-new experience possible while preserving each instrument's musical character and quality, all at a fraction of the cost of a new piano. Would you like to know more about the inspection or certification process? Leave us your name and email address to learn more about why we feel that we offer you some of the finest pianos in the world. One price, no surprises, local or nationwide. All Four Star Reconditioned Yamaha pianos include FREE Shipping, our Five Year Warranty, Lifetime Trade-Up Guarantee, and a new piano bench. We strive to make the buying process comfortable, easy, and worry-free.